The latest RotR writer, Ian Rimmer, and artist, Barrie Mitchell honour us by talking exclusively to our blog, answering the questions of the members of The Comic Book Heroes board! Read Barry talking about his long-time career as one of the top caroonists ever, and Ian about their efforts to bring Roy back to "life"! Let me start by thanking both of you for accepting to answer the questions of the readers of the Greek RotR fan club (http://royoftheroversgr.blogspot.gr/) and the members of the Comic Book Heroes board (http://champweareunited.proboards.com). It’s an honour for me, being a loyal fan of RotR since the 80s. No problem at all. I was really surprised to find there actually was a Greek fan club branch – though given the strength and longevity of the Roy of the Rovers comic strip, maybe I shouldn’t have been. It was a real pleasure to find your site (http://therealianrimmer.com) and see there are still attempts to bring Roy back to life. I understand that the ‘new, unseen’ material that appears on your website was actually created a few years ago. Of course the most important question for all the loyal RotR fans is whether there are any news concerning new stories published in any form (e.g. newspaper strip, on line comics, etc.). At present, I have no definite news about any new Roy material in any form. 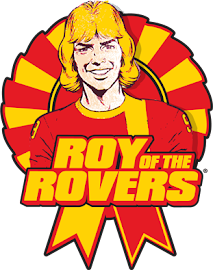 However, I have recently been in email contact with John Packard, who is a brand manager at Egmont Publishing (who hold all the publishing rights to Roy of the Rovers). He looks after the title. As we all know, it is the 60th anniversary of Roy’s first appearance in print this year, and it is also a World Cup year. That represents a wonderful opportunity to do something with the title, and I’ve suggested several publishing initiatives to him. He replied that while he can’t reveal any firm details yet, there a number of publishing options under consideration. My gut feeling is there will be something new published this year, though whether that will be in comic strip form, or involve Barrie or myself, I don’t know. Another question is whether you have the full support of Egmont in your attempts to bring RotR back. After contacting them, they revealed they are set to make a number of announcements about the 60th anniversary over the next few months, including at least two new titles, further digital releases and marketing activity. Are you a part of this? That’s actually fairly similar to what John was hinting at to me. As said, as yet, we’ve not been asked to do anything specific. John did want to ‘pick my brain’ on what accent Roy would speak with, and I gave him my thoughts on that. Is it true that attempts have been made by both of you to relaunch RotR in the past and at which point did they fail? Yes, I’ve tried a couple of avenues. The strip proved very popular, I’m told, when it was running in the BBC’s Match Of The Day magazine. When the BBC lost the rights to show recorded highlights on TV and the magazine folded, I thought other football publications might be interested in taking the strip on. I approached several, but had to stress every time that if they were interested, they’d have to reach an agreement with Egmont first. If that put them off, I don’t know, as those initiatives never got going – so all attempts failed fairly early in the process. If, despite your efforts, you are unable to find someone to publish the new stories would you consider an online comic route, or putting new work into a monthly comic series similar to the DC Thomson FPSM series? Basically I’d be open to try any format really, but the issue would always be whether Egmont would grant permission. Roy is absolutely their character and no form of publishing can take place without their agreement. Let’s hope that everything works out. What can be revealed about the new storyline? Will characters like Declan McKaffree play a role again? And would it just be RoTR story making a comeback or would you consider others like Playmaker/Marks Brothers etc, all stories drawn by Barrie Mitchell? The ‘new’ storyline was in fact put together a few years ago. The aim was to produce a strip that might run in a daily newspaper across the course of the 2010 World Cup Finals in South Africa. As those played out, Roy would recount his experiences playing for England during a World Cup in the late 1970s. There’d be a degree of comparing and contrasting the two sets of Finals, and in the set-up, we were due to see daughter Mel and son Rocky, but largely we were telling a story showing Roy playing again for England at a major international tournament – something that had never really been covered in any great detail before. Additionally, the storyline would have allowed us to use other characters of different nationalities from Roy’s regular strip, plus characters from other stories from that era, either from Roy of the Rovers, or even from other titles in the same stable, such as Tiger. For example, we planned that Scotland also qualified for this 1970’s tournament, so Roy’s England may have faced the country not only of club-mate Duncan McKay but also Gordon Stewart, from “The Safest Hands In Soccer” strip. Other characters from the Roy strip we wanted to feature playing for their countries included Paco Diaz (Spain), Seegrun and Valker (Holland), Jules Bernard (France), Populous and Andreus (Greece) and Hans Fischer (then West Germany). In the England squad alongside Roy we wanted to include Johnny Dexter, then in “The Hard Man” strip, plus Nipper Lawrence and Mike Bateson from the “Nipper” story which was at that time running in Tiger. The opportunity to attempt something similar is still there for the 2014 World Cup, and that’s one of the suggestions I’ve made to John Packard. It was very interesting to see the process of preparing a 2-page story on your site. How difficult was it to do it for the Match of the Day magazine? It is generally accepted that you have both done an excellent job, bringing the story back to its true values, while at the same time, it was very modern and up-to-date. Thanks for those kind words, it’s much appreciated. With the Match Of The Day stories we faced a problem of a lack of space at just two pages, and a problem that the title was monthly, meaning there was a long gap between installments. With the first problem, at roughly just fifteen frames to work with, I think Barrie did an unbelievably brilliant job in presenting the necessary visual information to make the stories work while keeping the strip looking dynamic and exciting. With the second problem, I tried to come up with episodes that both developed an overall story arc, but which also had some element of resolution each time, as ‘cliff-hanger’ endings weren’t really sustainable when there’s a monthly gap between episodes. That was pretty challenging, and only readers can really judge if it was successful or not. I was wondering where the player names come from - and while at it, maybe the team names too. 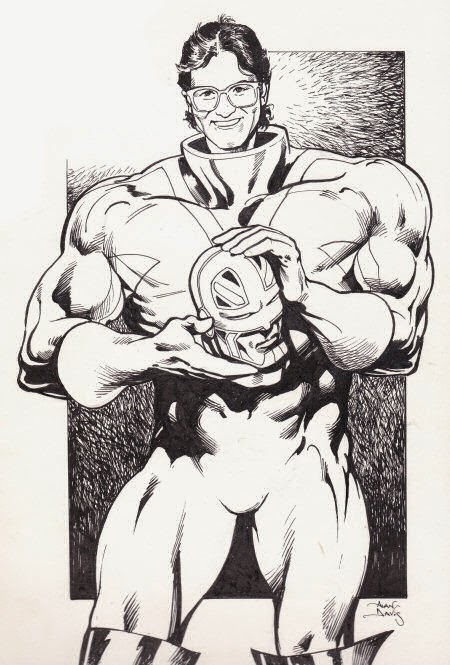 It’s known that David Sque used a lot of personal references in his artwork (he even changed Roy’s haircut to suit his!). What about you? Coming up with player and team names was always a lot of fun – think I probably spent far too much time on that, trying to find interesting character names that sounded authentic, but which were original too. Also, I veered towards keeping them short. Barrie might not have thanked me if he had to include a name something like ‘Oxlade-Chamberlain’ on the back of a player’s shirt for frame after frame – and while “The Ox” actually only plays with ‘Chamberlain’ above his number, hopefully you get the picture. There was the odd character that was loosely based on a real player – Dion Templeton was quite similar to Dion Dublin for example – but mostly they were the product of imagination. With team names, I initially wanted to come up with lots of new ones, but with so many familiar classics like Castlemere, Western Villa and, of course, Melborough already out there that seemed a bit like re-inventing the wheel. In the end, save for the occasional lower league side in cup games, or sometimes a European opponent, the majority of team names I used were plucked from the strip’s lengthy past. 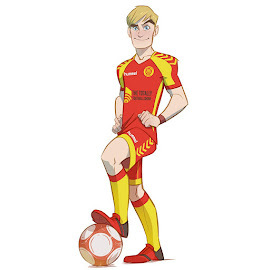 Turning to the past of the RotR comic, was it ever considered for Andy Steel the playmaker to sign for Melchester Rovers? This was a very successful comic strip, too. The short answer here is no. This never came up in any of the discussions I had regarding the strip. Had we chosen to set that World Cup story idea around 1990, as opposed to the late 1970s, then it may well have been logical to include the Andy Steele character in the England squad alongside Roy. As it was, we plumped for an era when Roy was at the height of his playing power - and when Andy Steele would only have been a toddler at most! This one’s for Barrie, whose work is greatly admired by the international fan base. You have had a long career drawing football comics, so, have you ever thought of releasing a sketch book? It would be great to see your design process for new characters/players. Thank you for your kind words. When you are working you try to do your very best and keep up the standard that you have set yourself, and when the work is delivered the only comments you get are from the editor and anyone else in the office, and hopefully they are complimentary, so it’s really nice to hear it from an unexpected source, thank you. I haven't really drawn a lot of football since Roy finished. I enjoyed it, as it was the one job I wanted, so was very sad when it folded. I only drew the weekly for six months, although I did enjoy the years on Match of the Day with Ian. As he said, the month in between was a bit of a problem but he solved it so well. Regarding the characters, on Roy the bulk of them were already established, and when we bought a new one in, it was a collaboration, I think, between Dave Hunt and Ian. I would sketch a few different ideas and the most suitable would be picked. Declan was probably based on George Best. Declan was brilliant, with one foot hanging out of his boot - as George would have been! Jack (Of United) and Jimmy (Of City) were visually based on Bobby Moore and George Best. Also, I’ve forgotten his name, but one of Andy Steele’s team mates was as close to Paul Gascoine as I could get him. The first football strip I drew was Paxton’s Powerhouse in Scorcher and they were all robotic characters. Some of the later strips had established characters - Kid Cox, Pickford, Cast Iron Bill, and Roy - but Jack and Jimmy, This Goalie’s Got Guts, Stark, Alex Shaw (Play Till You Drop), Playmaker, Superstar, Look Out For Lefty, and many of DCT soccer library characters were my own. When a new story was written the scriptwriter would give a good description of each player, which would be a real help, especially since we had the influx of foreign players. There were so many football mags, you could always find a player to use. The biggest problem was to make sure you didn’t just use a different hairstyle to differentiate the players. One of the later strips I really enjoyed was United, written by Ian. There was a bit more to it than just football and it was good to see which Premier side they were up against each week. Shame it was cut short, I always thought it would make a good read on its own, and I actually cut the strips out and pasted them up, similar to DCT soccer libraries - looked pretty good. 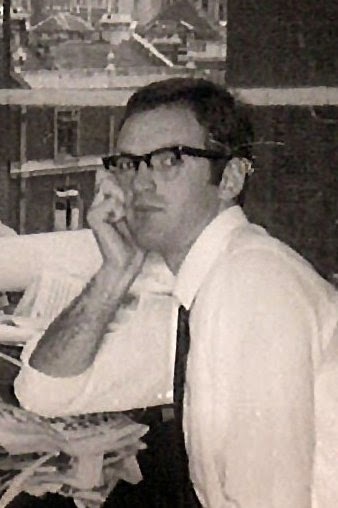 I spent 48 years working on comics, long hours, deadlines, not a great social life, but if I could do it all again I would. I can remember my first day starting in Link Studios in London as though it was yesterday, and this was September 1957. When my apprenticeship finished there were probably 20-30 comics you could work for, providing you were good enough. What would I and all the other good artists and writers I worked with do now? We were lucky to be around when comics were at there peak, good times! I would really like to publish a book, but as Ian knows, it’s not easy and, I would imagine, expensive. I would be happy to work with Ian again, but as he has said, it does depend on the powers that be. Thanks again for your kind words and interest. Thank you for your time. It was a great talking to you and we are all looking forward to seeing new material soon! If it happens, so do we! 10 Απριλίου 2014 - 2:45 μ.μ.